Today I’ve faced strange problem and I spent a few hours to solve it. I’ve installed my new SharePoint 2010 sever for development – nothing special. But when I created first top level site and try to display it http://ServerName I get error: ”Cannot connect to the configuration database”. What’s up? I’ve tried different things: reset passwords, delete and create managed account … [Read more...] about Cannot connect to the configuration database. 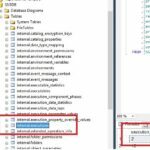 SQL Command Parameter in SSIS. I create new ETL package with SQL Server Integration Services 2005, and I was thinking that nothing can surprise me, but It seems that I was wrong. My package contains simple date parameter which I would like to pass to sql command source. 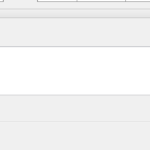 But every time I’ve pressed parameters button I get message: Parameters cannot be extracted from the SQL command. 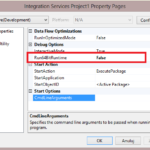 The provider might not … [Read more...] about SQL Command Parameter in SSIS.